Hi, I’m Eric Meier. I build bowed psalteries, and I thought I would share some of my building experience with you. I’ve designed an online project which walks you through the entire process of building this musical instrument—from start to finish. …to the wonderful of bowed psalteries, that is! That little phrase in the above paragraph sums up the foundation of this online project: simple to build. 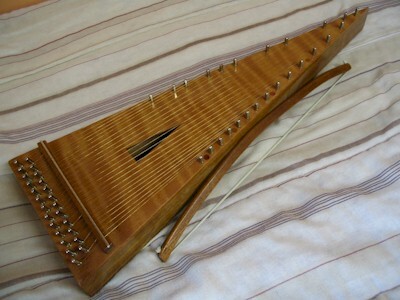 As with any instrument, the bowed psaltery can be as simple or extravagant as you want to make it. While the instruments that I build for Phantasy Psalteries are a bit more involved, on this website I’ve created a plan for a simple psaltery. By changing the layout and the shape to a basic triangle, and eliminating some of the more intricate steps – along with giving in-depth and thorough directions – I hope to make bowed psalteries available for just about everyone to build. And as an encouragement, you can even view a gallery of finished psalteries made by others using the instructions given on this website. 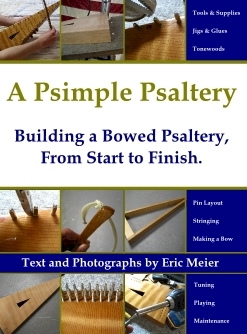 Everything you need to know to build a bowed psaltery can be found here!